Derek H. Potts of The Potts Law Firm, LLP, says document review center will handle millions of documents and provide support on behalf of plaintiffs harmed by vaginal / pelvic mesh medical products. The Transvaginal Mesh Litigation Support and Document Review Center will serve as the nerve center for a variety of activities related to litigation on behalf of plaintiffs pursuing legal action against transvaginal mesh manufacturers. The Potts Law Firm, LLP, today announced a partnership with the Burnett Law Firm, and the opening of the Transvaginal Mesh Litigation Support and Document Review Center (LSDRC) in Houston, Texas. 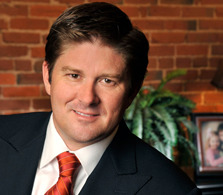 “The Transvaginal Mesh Litigation Support and Document Review Center will serve as the nerve center for a variety of activities related to litigation on behalf of plaintiffs pursuing legal action against transvaginal mesh manufacturers,” said Derek H. Potts, founder and managing partner of The Potts Law Firm. Potts, a nationally recognized defective medical device attorney, is leading several combined lawsuits on behalf of women claiming injuries from transvaginal mesh implants. The cases include litigation taking place in the U.S. District Court for the Southern District of West Virginia against pelvic mesh manufacturers American Medical Systems, Inc. (MDL No. 2325), Boston Scientific Corp. (MDL No. 2326), C.R. Bard, Inc. (MDL No. 2187), and Ethicon, Inc. (MDL No. 2327). Potts also serves as the plaintiffs’ liaison counsel and co-lead counsel in the In Re Mentor Corp. ObTape Transobturator Sling Products Liability Litigation (MDL No. 2004), which is in the U.S. District Court for the Middle District of Georgia. As the appointed co-lead plaintiffs’ counsel of the two separate federal court consolidations in West Virginia and Georgia, Potts Law is responsible for obtaining and reviewing millions of documents that the federal judges overseeing the vaginal mesh cases have ordered the manufacturers of vaginal mesh to produce. The LSDRC will employ dozens of attorneys and other support staff to review and analyze documents, and provide support for the litigation of these cases nationwide by Potts Law, the Burnett Law Firm and others. The Food and Drug Administration (FDA) said in a July 2011 safety communication that between 2008 and 2010 it had received 2,874 reports of complications associated with transvaginal mesh devices used to treat pelvic organ prolapse (POP) and stress urinary incontinence (SUI). Founded in 2002 by Derek Potts, The Potts Law Firm, LLP, is based in Kansas City, Missouri, and committed to aggressively representing those who have been wronged by the negligence, misconduct, or fraud of others from coast to coast. The firm’s practice areas include: Aviation, birth injuries, car accidents, class action, consumer protection, dangerous drugs and devices, environmental and toxic exposure, medical malpractice, motorcycle accidents, wrongful death, nursing home neglect, securities litigation, unfair business practices and truck accidents. The firm’s main office is located at 908 Broadway, 3rd Floor, Kansas City, MO, 64105 (local phone number (816) 931-2230). For more information, call the firm toll-free at (866) 311-2230 or use its online form.